Client Access is DEAD – get over it! Client Access was much reviled, much loved and mucho mucho confusing for users of AS/400, iSeries and the newer IBM i Power Systems. As it evolved and got rebranded as IBM i Access with new releases of the operating system, many people from the technical end of the spectrum just kept on calling it “Client Access” because all of old grey haired “400” users know what that is. IBM i Access for Windows delivers TCP/IP connectivity to users running a variety of Microsoft® Windows® operating systems. 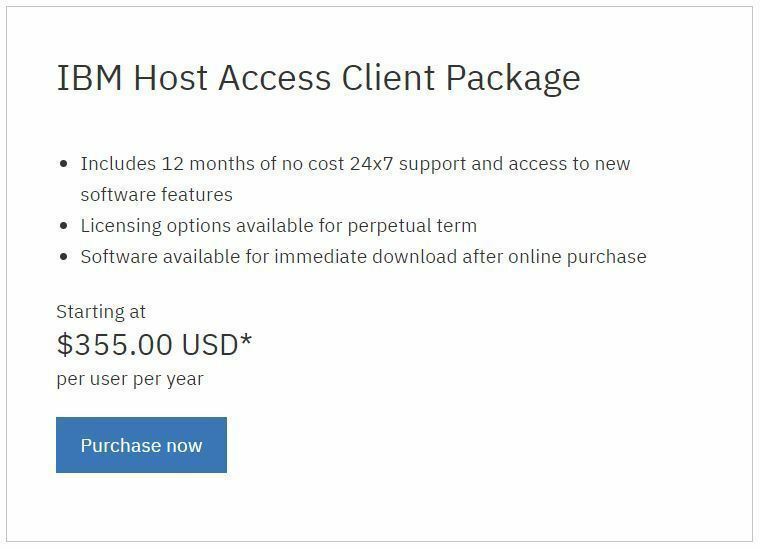 IBM i Access for Windows offers an all-inclusive client solution for accessing and using resources from your Windows desktop. It includes 5250 emulation, access to DB2 Universal Database® (UDB) for IBM i through its Data Transfer, and utilizes IBM i NetServer for working with the IBM i Integrated File System and printers. It also has a variety of middleware for using and developing client applications to access IBM i resources; and Navigator for i, the i5/OS GUI, for administering your IBM i. So now it’s finally officially retired. IBM has now made this a chargeable product at the fumingly expensive price of $355 per user per year. Hashtag OUCH. So, the rest of this blog, where I talk about downloading it for free is out of date. But, if you do have an IBM SUPPORT license then you can go and grab it, so read on. Download the IBMiAccess_V1r1.zip File and extract it to a temporary unzipped-folder on your PC. Using Windows Explorer goto \\unzipped-folder\Windows_Application folder. To install the 32 bit version for the current user, double-click on install_acs_32. To install the 64 bit version for the current user, double-click on install_acs_64. To install the 32 bit version for all users on a multi-user PC, double-click on install_acs_32_allusers. To install the 64 bit version for all users on a multi-user PC, double-click on install_acs_64_allusers. If this is a new installation, there will be several prompts that will help you customize the initial installation. If a license agreement appears, accept it. If this is an upgrade, the previous settings will be preserved. When the install has finished, a completion message will be displayed. Double-click the “Access Client Solutions” icon on the desktop.